Note: As per Google latest quality guide lines, all guest posts with search optimised do follow links are illegal. Read this from Google webmaster quality guide line. Web presence is a must for any industry as the whole world is moving toward online shopping. Web presence can do more harm to a business than good, if it is not done properly. If the website’s search engine position is in the backyard of search engine result pages, none of the potential customers will see the website on the search results, whereas the competitors can visit the website to find out what is their specialty and to make a strategy to compete with it. 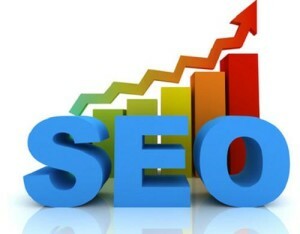 So a good search engine ranking and position is very important to any business which has a web presence. To achieve a good search engine ranking, one of the methods adopted by search engine specialists were building back links through the article directories and submitting links to link directories etc. This is because Google’s core algorithm is built on the back link vote and page rank value of each voting page. So many people used this opportunity and created content farms called article directories. Search engine optimization specialists were submitting articles to these content farms to build the back links for their customers. Everybody was happy, as the websites were getting back-links and these content farms were getting contents without spending a penny from their pocket. But one fine day Google came up with a Damascus sword known as panda update, and cut all content farms and article directories. Even leading and quality article directories like ezinearticles have lost 40% of traffic in one day when Google implemented panda update. If somebody tried to erode the foundation of any business, they will react in the same way Google has reacted. Google’s foundation is their algorithm that is based on back-links and page rank value. These article directories and content farms were helping the search engine optimization companies and websites, to manipulate Google’s algorithm, by providing a platform to build back-link in an inorganic way to improve the page rank and search engine position. So after the panda update search engine optimization has become an art and only those who know about it can succeed. 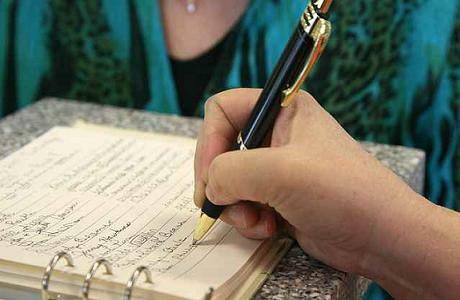 Mr Jayson DeMers is writing in The Top 5 Benefits of Guest Blogging that content is the king. It is exactly true because without top quality content, the search engine position of a page is always vulnerable to quality content, like a weak lion in a lion’s pride. So make sure your content is of the top quality. But it must not forget that Google has built its search engine algorithm on the back-link vote. So the top quality content is only the foundation for better search engine ranking. Building quality back links is very important to improve the search engine position. Guest blogging is one of the ways you can get high quality back links. The guest posting can harm them if it is not done carefully. Google may flag the links of guest post as inorganic back links. Note: I was shocked to see self serving links in The New Era of SEO: Content Strategy from the above author.It can attract unnatural links penalty, as the author’s bio clearly states that all articles have been written by the same author. The article Google’s Chrome Page No Longer Ranks For “Browser” After Sponsored Post Penalty clearly explains how Google has penalized their own browser Google Chrome for committing similar mistakes. Where to submit a guest post. If the guest posting is not done properly it can lead to trouble, sooner or later. The article evolution of guest posting explains that Google is watching the guest posts, to find out how to evaluate the quality of back-links. Guest posting for resource links is like posting an advertisement by paying money, where potential customers are hanging around. This is suitable for the websites where potential customers hanging around. This is normally done by posting a sponsored article and adding a link to the authors website or providing contact information at the resource box and stating that he is a superman in the field and he has done this and that. A customer may visit author for business after reading the article, and convinces about the author’s knowledge in the subject. If you are choosing this method, it’s better not to add any do follow back links in the body, as any reader can understand that the do follow backlink is a self-posted link by author. As the author is passing the PR value from his article to his domain, he may get caught by Google for building unnatural links and will get sponsored article penalty. This may lead to removing all the links and submitting endless re consideration requests to Google quality team, as Google won’t tell you the offending links. Organic links refer to links which are added by a neutral man or a blogger to help his readers for reference, or links to the websites where his readers can find more resources about the subject. It may be from a blog or from a commercial website. For example an iPhone seller may add a link to I-Tunes’. All quality bloggers do this to help their readers. These links may not send many customers, but search engines will consider it as a vote by a third party. This will help to improve its search engine position and it may get lot of visitors through search results. Avoid adding resource links to the same web site, as this can reveal the truth that the author himself is building the links to his website. This can attract unnatural link penalty from Google, as self-voting is against Google quality guide lines. Even Google’s Chrome has got a penalty from Google for running a googles-jaw-dropping-sponsored-post-campaigns and publishing sponsored articles to increase its search engine ranking. The guest posts should have high quality content as content is the king for good ranking. Only a good quality post can pass the link value to you. If the guest post is of low quality, it will never attain a good page rank. It will stay as a useless post to the author as well as to the blogger who accepted it. May be after some time the blogger may delete it, as the article is a burden for him. Only a high ranked article can pass the link value to you, and this is applicable to the guest posts also. So guest posts also need some search engine optimization work, so that it can attain good ranking and pass good back link value to the websites it is linking. Otherwise it will become like those articles in so called article directories. Those articles are not doing any good to them as well as to the author. The article directories are keeping those articles as they got it free from authors. . Guest postings are a good way to build traffic as well as to increase the search engine ranking. But it is a double sided sword and can harm the owner, if it is not handled carefully. So think twice before submitting a guest post. Be careful about resource link and make sure you are not inviting trouble from search engines. I always prefer no follow links on my resource box. Sajith is a web designer and doing search engine optimization consultancy in Melbourne. You can contact him on sajith.snydle.com, or on his Google+.